3Scale (@3Scale) – A Plug & Play Cloud based API Management Infrastructure for Developers, Startups, SMBs and Enterprises to securely open, control, manage and monetize their API to 3rd parties. CityGrid (@CityGridAPITeam) - Places, offers, reviews APIs and mobile, web and custom advertising with places that pay. CloudyRec (@Cloudyrec) - CloudyRec is a mobile app scaffolding engine with integrated Backend-as-a-Service (BaaS). Factual (@Factual) – Places, Products, Health, Education, Government and Entertainment accessible via database and API, with a Resolve API providing places intelligence and Crosswalk API identifying places across multiple systems like Foursquare, Yelp and Facebook. GeoCoda (@GeocodaHQ) - Simple Geocoding API providing information about any U.S. address via an HTTP API, and a spatial database to store and manage location-based information. IPGP (@IPlookup) - IPGP is a site that lets users lookup the location of their site’s visitors based on their IP addresses. Iron.io (@Getiron) - Iron.io provides massively scalable cloud application services: IronWorker, a massively parallel worker platform and IronMQ is an elastic message queue as a service. Jeppesen (@JeppesenJP) - Jeppesen Journey Planner is a cost effective way to integrate public transit information into your own website or mobile application. Socrata (@Socrata)- Open Data Services for federal, state, and local governments to dramatically improve the reach, usability and social utility of their public information assets. Spire.io (@Spireio) - A real-time messaging service as the first in a set of hosted, secure, and scalable APIs built for mobile and web application development. Tiggzi (@tiggziapps) - Cloud-based Builder for HTML5, jQuery Mobile, and PhoneGap Apps, allowing connection to REST APIs, and Export for Android, iOS, or Mobile Web. Verious (@Veriously) - A marketplace for mobile application components, enabling iOS and Android developers to license pre-built, pre-tested libraries to accelerate time-to-market, access 3rd-party platforms and increase in-app monetization. The CityGrid Los Angeles Hackathon is sold out, but you can follow the event on Twitter using the hashtag #citygridhackathonLA. The CityGrid Los Angeles Hackathon this weekend at Coloft in Santa Monica is coming together nicely. We have 80 of the 100 attendees registered, with more last week press going out. Sponsorship closes tomorrow 4/25 at noon, so if you want your company involved and in front of our developers, make sure and contact me today at kin.lane@citygridmedia.com. 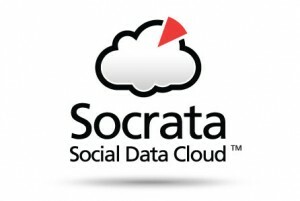 The open data platform Socrata just released a new cloud mapping software called Mondara, designed for users with no GIS expertise, allowing them to build online maps from existing data Shapefile or KML files. 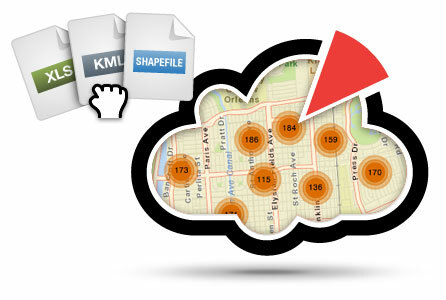 While Shapefiles or KML files are probably still pretty technical for most users, with Mondara any users can upload existing spreadsheets containing address information, and turn them into online maps. Mondara provides an online interface for creating maps with existing data, as well as enabling users to add, managing and combine layers within the a map, providing a lot of detail about your location data. Once you create a map you can easily export the map in multiple formats including KML, KMZ and Shapefile, as well as share anywhere with Youtube like embedding. 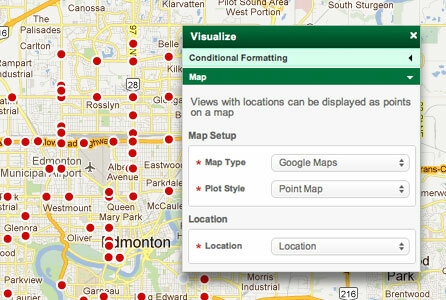 It’s an interesting new cloud mapping service priced at $499/month allowing you to create up to 100 online maps. I’m curious to see how the mapping service works with the open data Socrata has helped cities like NYC, Chicago, Baltimore, Seattle, San Francisco, Austin and New Orleans publish online. At first glance, Mondara looks like a slick tool for all of us non-mapping professionals help make sense of, and communicate the message available in this flood of big data we see coming out of our municipal governments. Sign up to the Platform Announcements Google group to receive important updates and announcements from the API team.